Pangea helps you expand internationally in just weeks by integrating with your sales channels and handling all of your international marketing and logistics needs. We enable global commerce without the hassle. We provide strategy, guidance, and execution for eCommerce businesses to launch, grow, and scale internationally. Focus on doing what you love, and leave all the marketing and fulfillment/shipping to us. You can trust us: we’ve helped 450+ companies do the same. How We Help: Pangea integrates directly with your eCommerce sales channels and automatically process, fulfill, and ship all international orders you receive from our 4 global warehouses. We’ll handle customs, duties, and everything else for you, so you can run your business with a peace of mind. 1. Take advantage of negotiated shipping rates. We ship millions of packages each month, so we can pass our volume discounts onto you. Reduce your shipping expense and boost your bottom line from Day 1. 2. No more paperwork for you. Our logistics specialists are on standby 24/7 ready to handle any issues that might arise from your customers’ orders. We’ll handle all the paperwork, including customs and declarations. 3. Automated advanced algorithms and technology. You’ll always have the most up-to-date information, including tracking details and a robust reverse logistics process. Expand your business without worrying about the details. How We Help: As soon as you launch in a new country, Pangea’s paid programmatic marketing experts will be ready to drive demand for your products through a hyper-targeted, channel-agnostic model to ensure your success from Day 1. With constant changes to industry rules and regulations, keeping up while managing your supply chain can be nearly impossible. 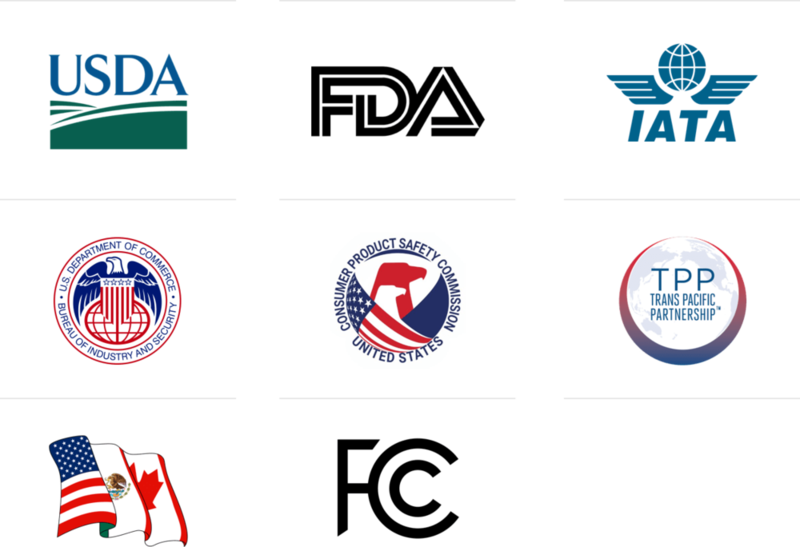 Our experienced customs solutions team is active in industry associations, so we know the latest, and can communicate significant changes to you directly. We work with everyone, from startups to Fortune 500 companies, to accelerate their international plans without the additional headcount or headache. Why spend all your time trying figure this out when you can just leave it to us, the experts?